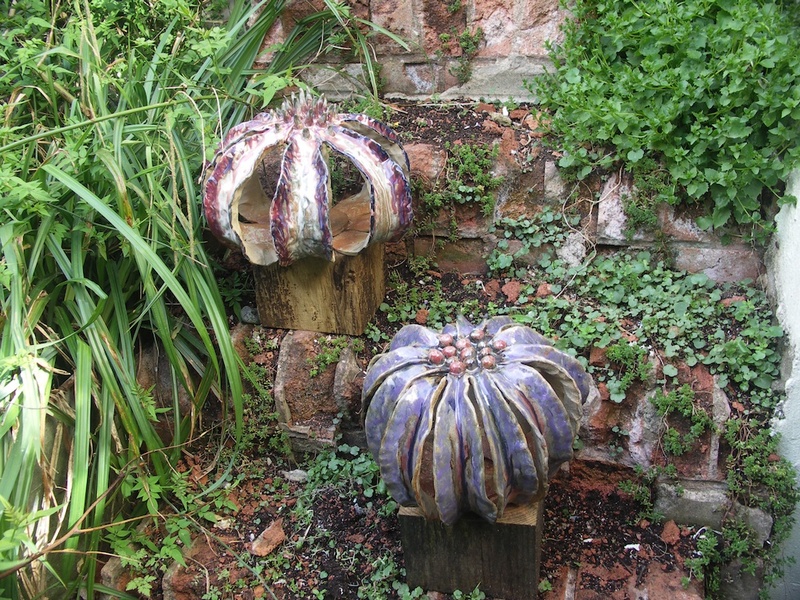 Chris Murphy’s work is inventive and works in an intuitive way, constantly pushing the clay material and experimenting with new forms and processes. His forms are strong and simple but have complex layers of glaze, which draw the viewer to look more closely. Each piece works as a whole and is unique, combining harmony of form and texture. His influence comes mainly from nature and organic forms. 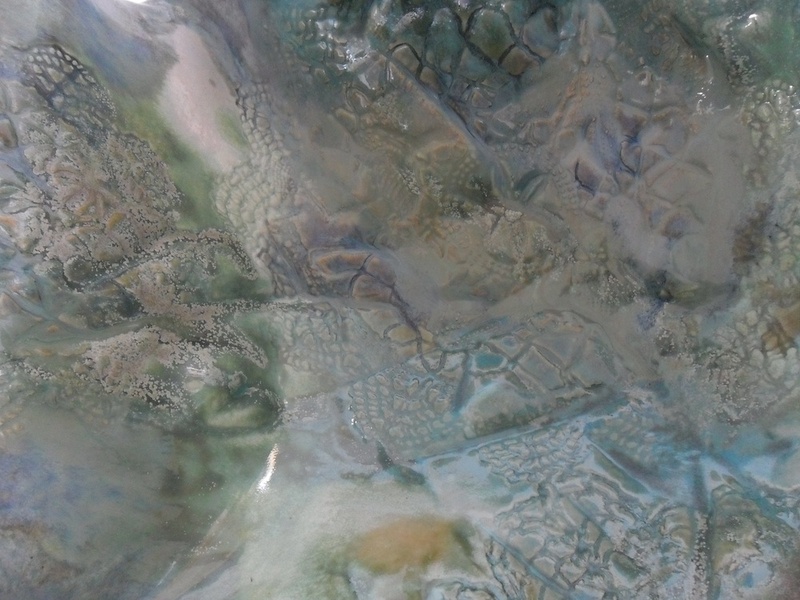 Chris Murphy use techniques of layering glaze and painting patterns in an abstract way, coating the clay surface with glaze so that they interact with each other, the interaction of the surface create another interesting layer. This expressive process creates complex colours and interacts with the textures of the exterior to produce distinctive layers of glaze. 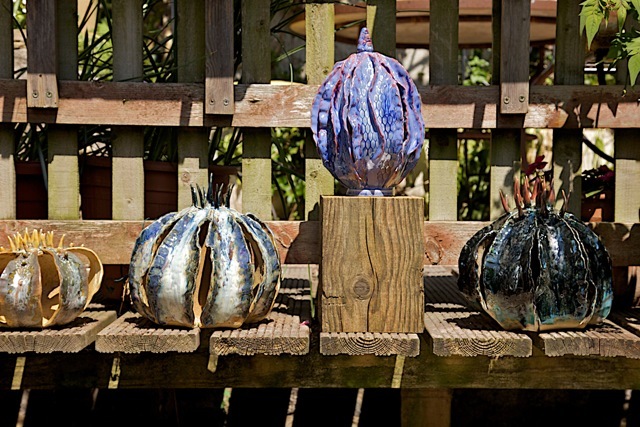 His work is fired to stoneware so suitable for inside and outside the home.